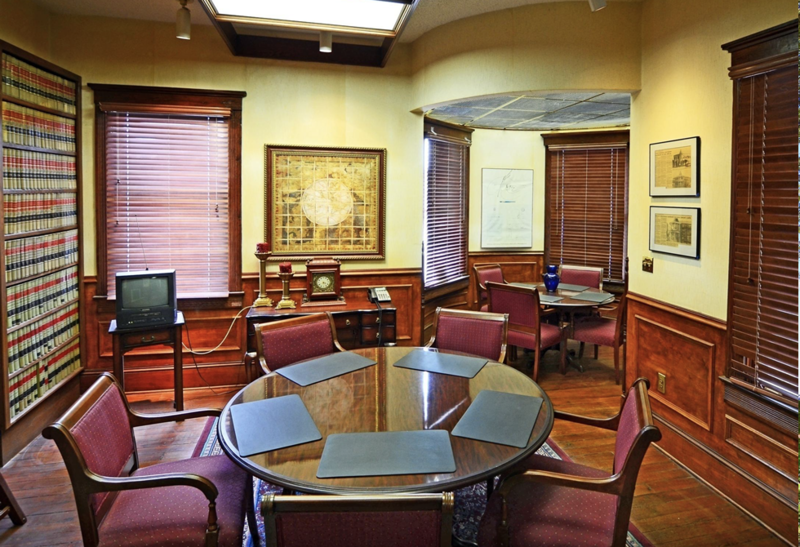 SIZE: bldg size +/- 3,325 sf; lot size +/- 45’ X +/- 73’; 2 story office building; totally renovated and restored historic landmark office facility in EXCELLENT CONDITION! IMPROVEMENTS: Office building includes reception/waiting area, break area, 2 conference rooms, 4-5 offices, 2 restrooms, admin area, balcony and veranda; city water, sewer and JEA elec. ZONING: (CRO); allows office, professional, business, medical and institutional uses. 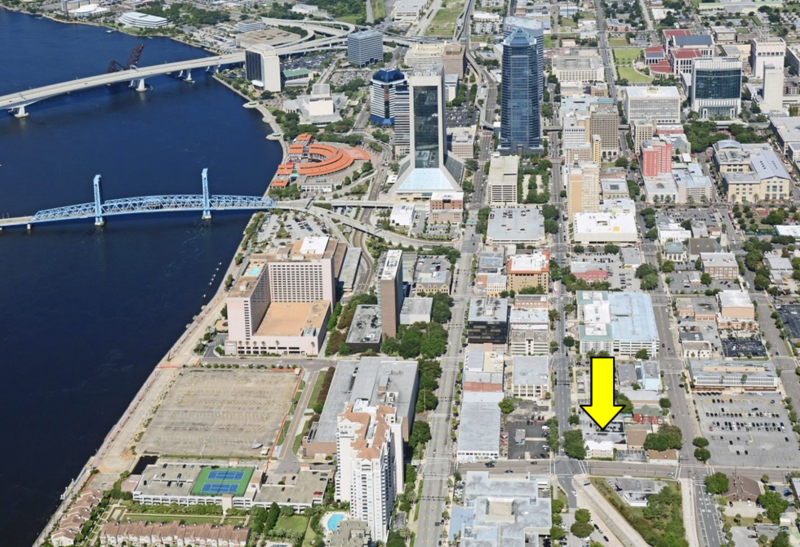 Great location and building design for attorneys’ office or professional office need in downtown Jacksonville, FL. 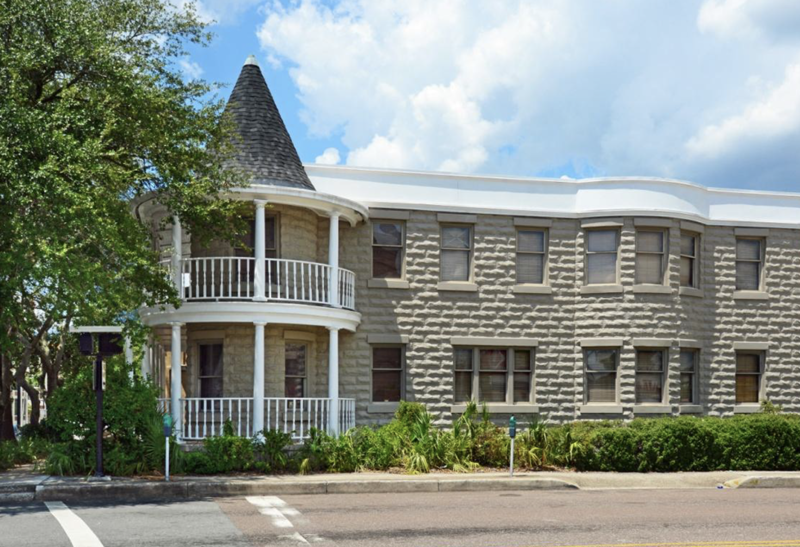 This historic 19th century building in the heart of downtown Jacksonville, FL was built in 1863 during the Civil War by Dr. Augusta Bexley, Chief Surgeon for the Confederate Army. Destroyed in the “Great Fire of 1901”, it was then rebuilt by Dr. Bexley’s son using fireproof materials and custom molded concrete blocks. It was the Plaza Hotel until 1913 and then became the Bexley’s residence. 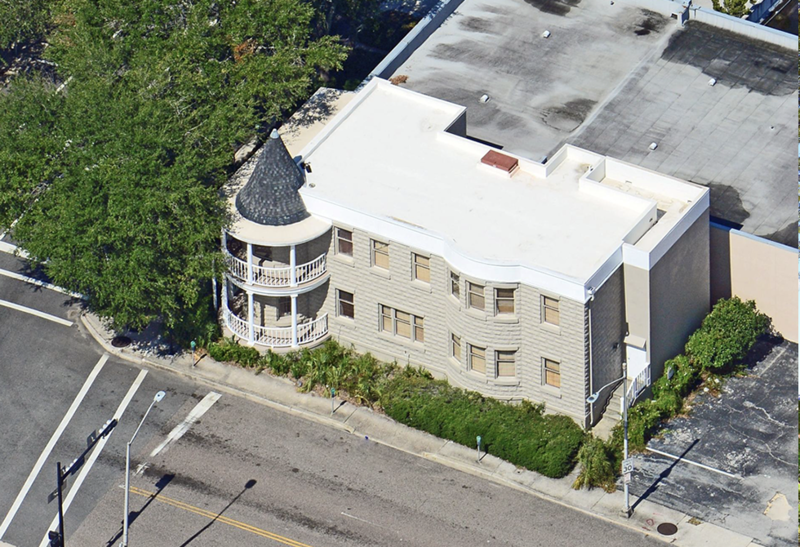 This National Treasure was then refurbished and restored in 1985 by attorney Glenn Allen and utilized as his primary law office only a block from the Duval County Courthouse. 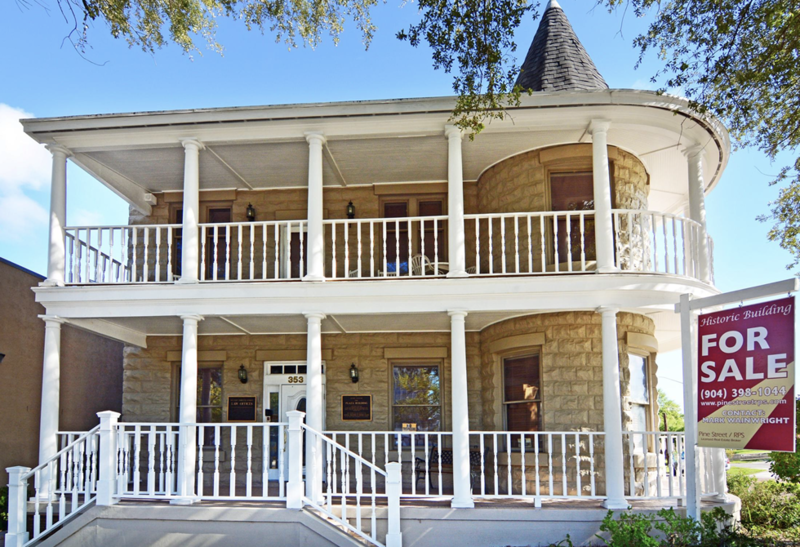 It contains the original wood floors with a fully restored, ornate finished interior. It remains in excellent condition!